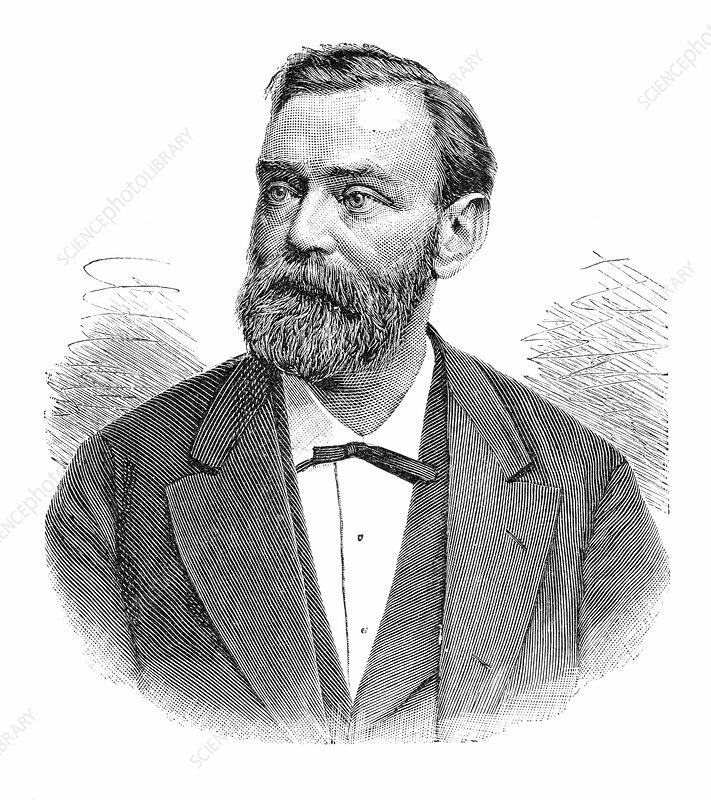 Alfred Bernhard Nobel (1833-1896), Swedish chemist and inventor. Working for his father, Nobel studied explosives like nitroglycerin, and discovered ways to make them safer to use. In 1867, he patented dynamite (a mixture of nitroglycerine and an inert clay). Nobel's patents made him very wealthy. When he died in 1896, his will directed that the bulk of his fortune be used to set up the Nobel Prizes. Artwork from the third edition of 'Les Entrailles de la Terre' (1902) by French author Eugene Caustier.